This assembly was doing for a long time and it was my first job in S3D. 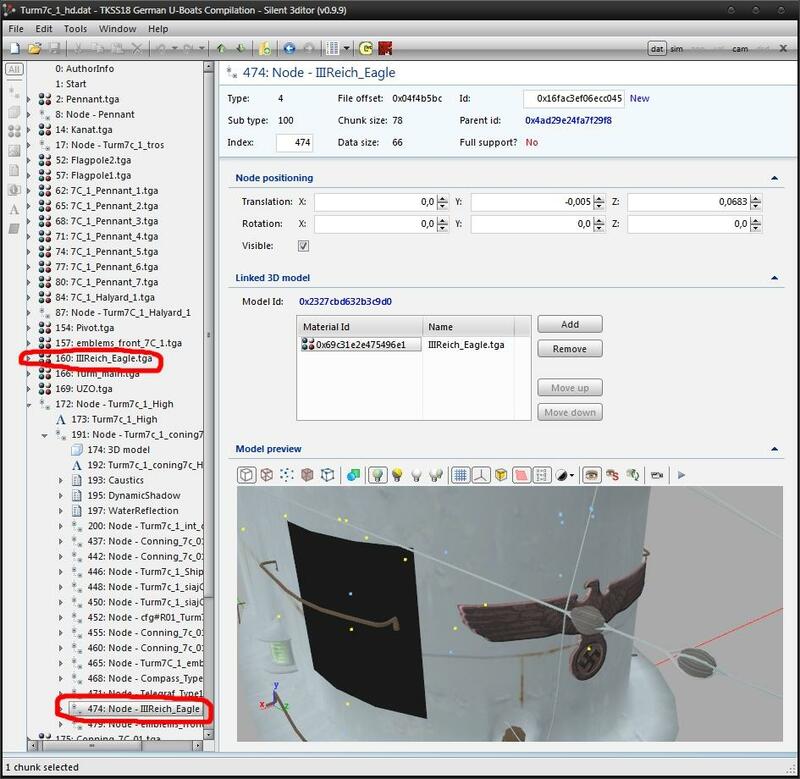 Remove the Eagles is not difficult, just remove what I have in the screenshot. So is the rest turms do the same operation. pedalboat, a list of your mods to see (if any), only then I can somehow help you. But I have to say that everything works fine on my several mega mods, and after the release I do not change in mods, himself only this assembly use. From other users too no complaints. I reinstalled the game (v 1.4b) and then GWX 3.0 from scratch and the problem is gone now. And yes, I had a lot of stuff from different mods and I think that was the real problem after all. Great! Many thanks for your support! Tomorrow will do the corrections. 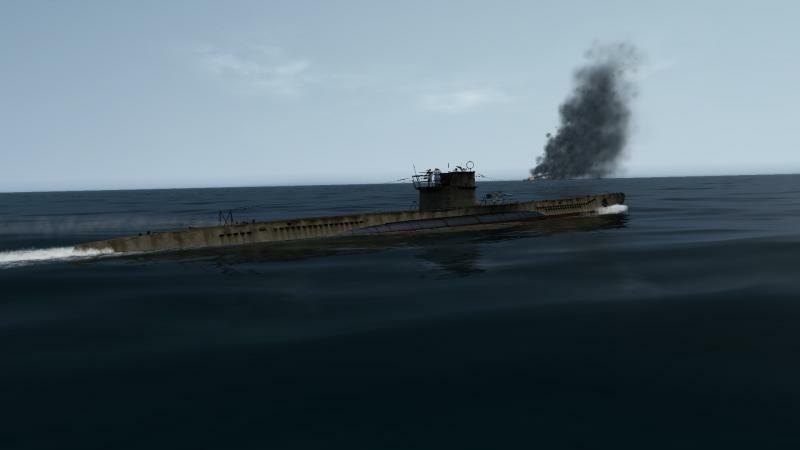 Complete your collection of skins for u-boat type VIIC from authors NOZAURIO'S and TheBeast from Silent Hunter 5. In the archive four additional skin, apply via JSGME. Lovely skins and even better looking if I use SweetFX. By the way, I play SH3 with a CRT monitor at 1152x864, but with SweetFX the resolution switches back to 1024x768. but the game is now as I said 1024x768 (even the screenshots, now they are in BMP by default?) Even AA4X in my ATI 7870 2GB makes the game look a bit jaggy at 1024x768. Any solution to this in order to get my 1152x864 res back again or even to get widescreen resolution if I buy a widescreen monitor? You know, the game looks so nice with SweetFX. Pity. 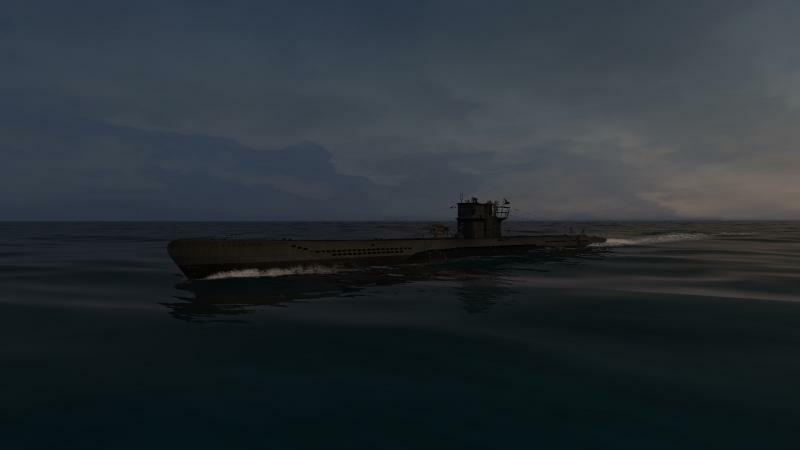 Just about to install the SH3Commander skin pack, thank you my friend, the U-Boats are awesome. Guys, anyone have the same problem with the radar FuMO-29? Why antenna is displayed on the hull? How to fix it? "Я поначалу упустил в компиляции тот факт, что радары должным образом не становятся на место..."
"I first missed in compilation that fact that a radar properly doesn't become into place..."
"Насколько я припоминаю, ещё весной на сухом после основной компиляции по лодкам я выкладывал фикс для радаров..."
"As far as I can remember, even in the spring after the main compilation I put to radar fix on the Sykhoi forum..."
Guys, anyone have this fix? I can't understand - really nobody uses this compilation?? theres actually a post somewhere in here about fixing that or attempting to at least. ill find the link if I can to the post. Run ''FMO_30_UpDown_final'' over ''German U-Boats Compilation'' - didn't become better. Actually this mod couldn't fix anything, because it was done long before ''German U-Boats Compilation'' and only for radar FuMO-30. In order to solve the problem with the radar FuMO-29 we need the Original Radar Fix for ''German U-Boats Compilation'', about which wrote in another topic author. The question is why the author hasn't posted a link to this radar fix in the main topic, if without this radars are displayed incorrectly? The author doesn't respond to private messages, any thoughts on solving the problem? Or maybe someone has no such problem? Last edited by radiator; 02-04-2015 at 05:15 PM. Guys, I have a good news! The author sent the necessary fix! Now radar FuMO-29 display correctly.